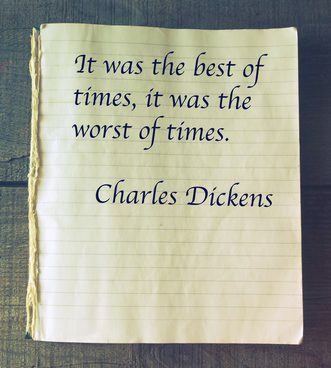 This quote from Charles Dickens’ Tale of Two Cites goes on to say “it was the age of wisdom, it was the age of foolishness.” This quote could apply today to retail as much as it did in 1859 when the book was published. For innovators and new business models (think Amazon) it is the best of times. For the traditional department store industry, it is the worst of times. This month, we had the opportunity to see the incredible presentation by Mary Meeker of KPCB on digital innovation. While she covered a lot of territory in her speech, her observations about the global economic state, technology, and retail were very thought-provoking. Her opening statements included “global internet users growth is declining” and “Slower Growth + Higher Debt + Aging Population Creates Rising Risks…Creates Opportunities for Businesses that Innovate / Increase Efficiency /Lower Prices / Create Jobs – Internet Can Be @ Core of This…” While we have seen this in many areas of the economy, retail has been most affected because it is so close to the changing consumer. Some of the innovation that she sees going forward really resonates with how smart retailers are winning, while those who cling to old models or innovate slowly are losing ground. Here are some of the innovations that are already happening. Retailers: Drive transaction volumes, Collect and use data, Launch new products – an example here is Amazon, which has launched a range of private label brands starting in 2004 with outdoor furniture, then in 2008 home goods, 2009 electronic accessories (Amazon Basics), and in 2015 fashion brands. Brands Become Retailers – Warby Parker started as an online optical brand; Frank + Oak started as an online men’s clothing retailer. Physical Retailers become Digital Retailers – Neiman Marcus now does 26% of their sales online; Williams-Sonoma does 50% of its Christmas business online. Online Retailers become Offline Retailers – Warby Parker has 31 locations and generates $3,000 a square foot in sales. Subscription Model Retailers – replenish products on the basis of customer usage and analytics – so that the customer does not need to think about buying. Amazon is a leader in basics replenishment but so are models like Trunk Club and Blue Apron, which are highly targeted services that focus on taking the drudgery out of shopping. All of this can leave you breathless. No wonder established retailers who are committed to a business model are struggling to understand where they should go. The examples above demonstrate that it is not just the internet but the innovation around the business model that counts. Technology is the enabler. J.C. Williams Group in conjunction with Ebeltoft Group has been generating a publication about innovative retailers from around the world for over ten years. Experience has taught us that not all of these retailers or formats will survive, but the ones that solve problems for the consumer and are built on a solid business model will thrive and grow.